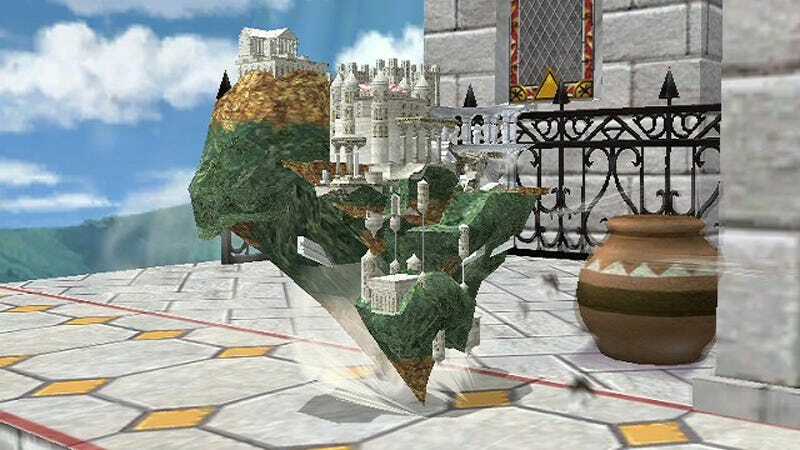 Someone Made Hyrule Temple Playable In Smash Bros.
Because why not. It’s a tiny modification for Brawl by modder Sir Kirby (via imgur) and even though it’s a miniature version, it still looks silly enough. Why stop there though? Why not replace all the characters with mini-versions of stages and all the stages with huge characters?